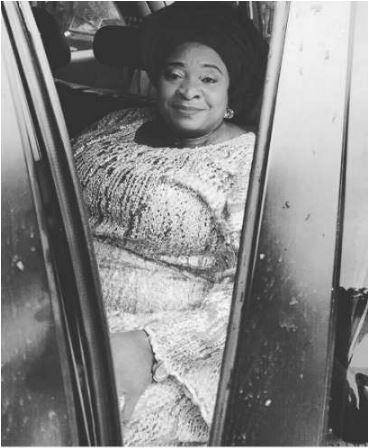 Popular Nigerian singer, Wizkid, currently riding on international fame has shared a lovely photo of his mum. Calling her the love of his life, the celebrated singer took to Instagram today, July 5, 2016 to wish her a happy birthday. "Happy birthday to the love of my life! My back bone !! My everything!" he wrote. According to him, everything he does is for her, "I do this for u! More life!!" he continued. Wizkid is obviously besotted with his parents. Two years ago, he shared a photo of his parents and showered praises and expressed his love for them. He wrote, "Everything I am today I owe it to them! They gave me everything they had even when they had nothing! I can’t put words together to express how much I love you mom and dad. I’ll always make you proud." Undoubtedly Africa's most recognized and successful artiste of the year, the 'Ojuelegba' singer recently revealed he wants to live a normal life with humility. His 'One dance' collaboration with Drake is still doing well at number one on the Billboard Hot 100 charts. Wizkid was also nominated in the BET's Best International Act Africa category to which he lost to South Africa's Black Coffee.